Head injuries happen frequently in car accidents, but it may not be obvious that a car accident victim has suffered a head injury. Here’s what you need to know about car accident head injuries and how you can get the help you need following a crash. Open head injuries are the most easily noticeable after a car accident. This occurs when an object comes into contact with the head and an open wound is left. In some cases, an object may be penetrating the head, also known as a penetrating head wound. These types of head injuries tend to be more serious and require emergency medical care. The individual who has been injured may or may not be unconscious. 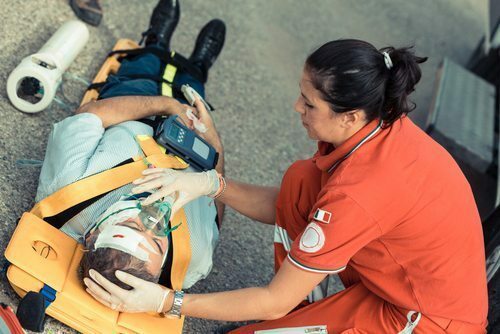 Closed head injuries are the most common types of head injuries that occur after a car accident and are the least noticeable because there is no open head wound with this type of injury. Closed head injuries can range from mild to moderate to severe. The more severe the injury, the higher the chance the person will be rendered unconscious for a significant length of time. Concussions fall under the category of a closed head injury and are most often mild, but can be more severe in some cases. Even if you do not believe that you or a loved one have sustained a head injury after a car accident, it’s important to get checked out. If not caught quickly, some brain injuries can progress and become serious or even deadly. Getting medical care right away and being scanned for a brain injury is critical after being in a car crash. If you or a loved one have sustained a head injury of any kind in a car accident, you need legal representation. Contact Appalachian Injury Law today to learn more about your rights to compensation and how you can get the financial restitution you need to cover medical costs associated with your injuries, as well as other damages. Call now for a consultation at (706) 515-1995.